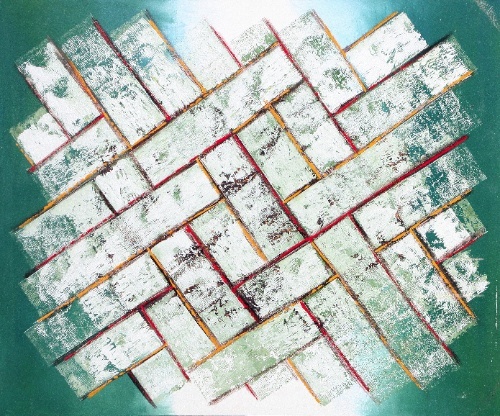 Rattan Green is an original Original Painting. Acrylic on stretched canvas Frame. Ready to hang. mounted on stretched canvas with a frame depth of 4cm.